Bobby Maddex interviews Fr. Lawrence Farley, the author of the new AFP book Unquenchable Fire: The Traditional Christian Teaching about Hell. Ancient Faith Presents: How Should Orthodox Parents Talk to Their Kids About Homosexuality? Bobby Maddex interviews Chaplain Patrick Tutella and Jason Irwin, the individuals behind both the organization Caring Connections in Corrections and the new book In the Shadow of the Forty-Foot Wall. 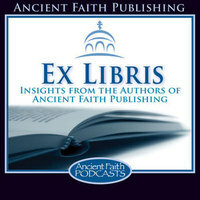 Mr. Bobby Maddex: Welcome to Ex Libris, the podcast of Ancient Faith Publishing. I’m your host, Bobby Maddex, and today I’ll be speaking with Dr. Philip Mamalakis. He is the author of the new AFP book, Parenting Toward the Kingdom: Orthodox Christian Principles of Child-rearing. Welcome to the program, Dr. Mamalakis. Dr. Philip Mamalakis: Great to be here, thank you. Mr. Maddex: Let’s start with you. Perhaps you could put aside your modesty for a second and tell us why, from a professional perspective, you are qualified to write a book on parenting. Dr. Mamalakis: Well, I could just tell you a little bit about who I am and why I chose to write the book. I think I learned from a young age there were so many interesting things that happened in the home, and how the same family has different kids and how the parents interact with the kids really have a dramatic effect on children, and they go out in the world and in many ways they’re formed by these experiences in the home. So that’s always been an interest to me, and at the same time as I was growing up, I was discovering a lot about our Greek Orthodox faith. I grew up in the Greek Orthodox Church, and I was learning about the font of immortality, the life-giving nature of the body of Christ and how as we become Orthodox we are really transformed into new beings. It’s not like it’s magic, but it’s a real process of transformation. So these two things really intrigued me: the reality of the power of the Church and then the reality of what happens in the home. As a result, I decided to go to seminary, went to Holy Cross and graduated there, to study theology. Then I went on to get a Ph.D. in marriage and family therapy with a specialization in child and family development, human development. After having the Ph.D., I started actually working in an agency that did parenting classes. I was part of the staff, and we developed programs that helped parents develop their parenting skills. So I became much more interested during those three years in what a different it makes for parents when they pay attention to parenting, and how parenting was really a powerful process. That’s kind of my background and a little bit of my interest and a little bit about what the book’s about. Mr. Maddex: So as I’m sure you’re aware, there are any number of books on parenting, whether from secular perspectives or those of other Christian traditions. What does Orthodoxy uniquely offer to those who are interested in learning how to be better parents? Dr. Mamalakis: There are a ton of different parenting books, and I’ve read a lot of them, and I’ve found that most of them have one or two aspects that are really good and really helpful and really are consistent with Orthodoxy—and then there’s a lot of other stuff in the book that really goes counter to what the Church teaches. So I thought we need a book that can really pull the best of this secular parenting. When we think about what Orthodoxy brings to parenting, we think about: what does the interior life of the soul and the sacramental life—that’s how we grow as persons. So what it brings to parenting is exactly why I wrote the book, and that is: because no one has made that connection, to say: Okay, we learn in church that confession is important. We learn in church that we have icons, and we learn in church that we are icons of Christ. Well, what we don’t learn is how to teach the joy of repentance. So I thought Orthodoxy brings us the path of repentance. What it brings to parenting, then, is a specific way to understand how we want to teach repentance and how we want to teach the joy of repentance. Icons, we know about icons. We know theologically what it is. Well, what icons bring to parenting… If you think about our children as icons of Christ, well, we want our children to adopt that identity as icons of Christ, and they will adopt that if parents treat them like icons, in the sense that we learn how to venerate our children. We don’t deface an icon, but when you get angry at a child or snap at a child or yell at a child or talk down to a child, you’re essentially defacing this icon of Christ. When you indulge a child’s desires and give them a fourth cookie because they really want one, that’s kind of like worshiping an icon, which we don’t do either. So what Orthodoxy brings to parenting… Orthodoxy is the path, and the more we understand Orthodoxy, the better we are able to discern which of the secular material is informative and which we should gently leave behind, because it reveals reality. You can see by just those two examples, repentance and icons, it can actually help us understand how to interact with our children. Mr. Maddex: Well, let’s get into the guts of the book a bit. You mentioned the joy of repentance, and that is one of the topics that you cover. What other things do you talk about in the book? Dr. Mamalakis: One of the challenges of writing a parenting book, I’ve found, is that there are good books out there that talk about the church of the home and how to teach about icons and how to have icons and some of the rituals that are really good for the church of the home, but there is no book that connected the daily struggles of life—getting your kids up and dressed and fed and out the door, either for school or for church—connecting those daily struggles—of back-talking children, siblings fighting with each other, a child having a meltdown—connecting those events with the interior life and the spiritual life of Orthodoxy. So what the book tries to do… I try to say, well, here’s what parenting is, and then here are some strategies for how we actually parent, and then here’s how we understand some of the important aspects of parenting. So some of the things we talk about—parenting is such a huge topic—we talk about how, in order to understand parenting, we need to understand how children learn. So there is a chapter on understanding how children learn—through our example, through interactions, how we interact with other kids, and through our relationships, for example. Then there’s a chapter on how every misbehavior as a child, which we often think of as “that’s something bad” that we want to stop—the book actually discusses: well, we have to rethink what misbehavior really is, because children are learning a lot through their “misbehaviors” and through our responses as parents. So the book is a way of saying, well, let’s pull the curtain back a little bit. Let’s see what children learn. What are they learning when they misbehave, when they talk back to us? And then, what are we tempted to do as parents, and how do we respond? And what does our reaction or our response teach the child? Once we understand that, we can start looking at, all right, now what does the Church reveal to us as what the appropriate thing is to teach our children? So the book has a big section on learning to respond to kids and not react. The last thing I want to say: we talked about the joy of repentance. There’s two chapters at the end of the book that were really important to me that I have never seen in any parenting book. One is the joy of repentance and how one of the principles of parenting is: we want to raise children who understand the importance of repentance and confession and understand the importance of repentance and confession as a positive thing. How do we teach that to our children? Because Orthodox believe that repentance and confession is actually a positive thing that has more to do with God’s love for us than our sins and mistakes. We know that theologically; how do we teach that to our kids? Oftentimes, repentance can be associated with children’s mistakes and they feel terrible about themselves, so there’s a whole section on: how do we teach our children to love and understand the joy of repentance. The other piece that was really important to me is teaching the joy of obedience. Christians understand the value of obedience. Usually the more fundamentalist traditions really are serious about obedience. Well, for Orthodox, obedience is really accompanied with joy. Obedience to God is our loving response to God. Obedience is not, for us Orthodox, really about suppressing and oppressing people. Obedience for us as Orthodox is about freeing ourselves to follow Christ and to become fully human. But lots of times the families who prioritize obedience, oftentimes those families can be pretty cold and hard emotional environments. So I thought it’s really important that we should take some time to understand how do we teach our children the joy of obedience. The other issue the book talks about is notice: these are chapters about teaching, that as Orthodox we need to understand that parenting is about raising disciples. What that means is our kids are always learning, so we should be always teaching. Once we have that aspect, that orientation toward parenting, we see that we are actually teaching our kids by the way we respond when they backtalk, when they fight, when they have a meltdown, when they refuse to eat their dinner. Our response to them is teaching them. Well, the question this book asks is: What is your response to your child teaching? Something good or something not so good? Are you aware of what your response is teaching your child? Now, how can you be intentional? Choose the response to your child’s meltdown or backtalk that will teach your child what you want your child to learn, and that is what the Church reveals. So those are some of the guts of the book, that talk about these aspects of parenting. Mr. Maddex: Yeah, I want to talk about the intentionality in a little bit more detail later on here, but first let’s talk about the structure of the book. It is divided into six basic principles and then 18 total chapters. What is the logic by which the book proceeds? Dr. Mamalakis: Well, the book begins with the first principle, which is: In every interaction with your child, you’re teaching them something, so what are your long-term goals for your kids? so that you can choose, in this interaction over sibling rivalry or backtalk, to choose that intervention that’s going to move you toward your long-term goals. Principle one, the book begins with thinking long-term. It starts with kind of the basics: What’s your telos? What’s your goal that you’re aiming for? Essentially, what kind of kids do you want to have when they go away to college or they get married? Because parenting is really about that. We’re not going to follow them in college, make sure they go to church, make sure they don’t steal, make sure they pray, make sure they stay connected to God, make sure they’re respectful. No, they’re going to make those choices themselves, so our long-term goals have to guide our daily parenting interventions. It starts like that. So chapters one and two are how to think long-term and understanding how kids learn, that is, how are we going to work toward those long-term goals? Principle two says, all right, if that’s our long-term goals, we need to essentially be intentional about how we respond when kids misbehave. Principle two is: Respond, don’t react. So the book then proceeds to say: all right, how do you stop reacting to your kids’ misbehavior and learn how to respond? A reaction is that emotional reaction that we have when our child misbehaves, or that emotional reaction when our child does something really good, because when they do something bad we feel bad and we get upset; when they do something good, we feel proud. Well, notice our reactions are actually about us as parents. It’s kind of selfish. So the principle two of responding, not reacting, includes how to respond to our children and why do kids misbehave, because if we are reacting selfishly to our children, that doesn’t really model selflessness; that models selfishness. When we become intentional, we say: all right, how do I respond in a way that’s about my child? How do I respond to this misbehavior in a way that’s going to teach my child those long-term goals? Rather than: How do I just react? Because I’m really frustrated, or I have a lot to do and I don’t have time for this today, or why does my child keep making this same mistake?—or whatever our reactions are. So then, that’s principle two. Principle three, then, goes a little bit into the heart of the book, which is understanding the struggles we have in terms of the values and the virtues of the kingdom of God. Now that we say: All right, I need to learn how to respond? Well, what’s a good response? Oftentimes, parents are looking for: Tell me what I should do? What do I say when my child back-talks? What do I do when my child draws on the wall? Well, in this principle and the next chapters, five and six, are about how we think about our child’s struggles: naming your child’s struggles and then separating your struggles from your children. He’s learning to deny himself and follow his parents. He’s learning to postpone gratification. He’s learning to do the right thing even when he really doesn’t want to. Well, these are all values and virtues the Church reveals to us in the kingdom of God. So that’s the principle. The book goes into: How do we understand that in the daily life of the home it’s not really about getting kids to just have good eating habits? They’re actually—their souls are forming. If I gave my child a cookie every time he wanted to, if he left for college, he would have a really difficult time controlling himself eating cookies. That’s not really a very kind thing to do to a kid. But if I’m really strict about “No cookies before dinner,” and he gets cookies after dinner, and if I’m very connected to my child and I’m very compassionate about it, my child will learn that, you know, cookies are for after dinner. He’ll essentially develop those virtues of self-control, postponed gratification, choosing to do what’s right, so that when he goes off to college and all his friends are going out on a Thursday night, and he has work to do, he’s going to have the capacity to say, “You know what? I really want to go out, but I need to work. I need to get my homework done, and then maybe I’ll meet you later, or tonight’s not the night.” So that’s the third principle. Then the book goes into a lot of the details, because it’s one thing to talk theoretically, like I am, about parenting, but I think it’s really important to say: What does that look like? How do you set a limit? How do you get kids to bed? So the next principle is separating feelings from behaviors. When my child doesn’t get that cookie, he’s going to get mad. What if he gets mad at me? That’s not appropriate. Well, what if he decides to throw something. As a parent, I need to respond to that. Two things are happening in my son. He is emotionally worked up and he is misbehaving. Well, his emotions he can’t really control. He can’t control his feelings. He can’t control how mad he feels. His behavior he needs to learn how to control. So in order for me to respond appropriately to my child, I need to separate his feelings from his behaviors. I need to take the side of his feelings and set limits to his behavior. So that’s kind of the heart of the book. Chapters seven through 13 talk all about how do you take the side of their feelings when they’re misbehaving and at the same time set limits to their behaviors. The challenge of parenting is you get so many professionals telling us that it’s really important to be strict, and so many other professionals telling us, well, it’s really important to be empathic. Well, in fact what the research shows is kids do great with really empathic parents who have really high expectations. So it’s not really about either I’m strict or I listen to my kids’ feelings, but oftentimes in fact that’s what we see. The parents who tend to listen to their kids’ feelings are the ones who tend to be a little more lax about the rules, and the parents who tend to be very strict about the rules tend to not be so attentive to feelings. Well, my suggestion is we need to be strict about things while at the same time being really empathic and connected and attending to their feelings. So that mid-section of the book talks all about that: What does it mean to be strict, why is it important to be strict, and, equally important, to listen to their feelings. When I’m taking my kid up to bed and he’s saying, “I don’t wanna go to bed!” I can tell him, “I understand. It’s hard to go to bed. You don’t want to go to bed.” I can tell him, “I wish you could stay up all night,” and I do; I just know he can’t. I don’t make these rules. I know we need sleep. I’m telling these things, I’m attending to his feelings—while I’m taking him to bed. The temptation with parents is, once you start listening to your kids, you start saying things like, “Oh, okay, you can stay up a little bit longer.” I suggest, actually, it’s much better for your kids to listen to their feelings as you’re keeping those bedtimes strict. So in the book, it talks all about how we listen to our kids’ feelings as we’re taking them up to bed. We deal with all the different types of parenting challenges, and we kind of illustrate this principle of how you tend to the feelings while you set limits to the behavior. The book—I won’t take time now—goes into a little detail about why that’s so important, because again you’ll have books about how to teach kids about icons and how to teach kids about church, but this is the first book that really tries to articulate why the way you attend to your child’s feelings and how you’re strict about their behavior helps them understand about who God is, what it means to be a person, and how to thrive as a human being. And that is what the Church reveals to us. Then finally the book wraps up with those two chapters that I’ve never seen in another book, about teaching the joy of obedience and teaching the joy of repentance. Mr. Maddex: What is the best way for listeners to take advantage of this instruction? Should they read the book straight through, should they reference it for specific topics, all of the above? What would you recommend? Dr. Mamalakis: Well, my goal was, when I wrote this, I said: My target audience is parents like me, who don’t have much time, who don’t have much time to read. So I tried to envision this as a book that goes on your nightstand, where you read ten minutes a night. I tried to get the chapters so you could read them in 10 to 15 minutes, and I did pretty good in the beginning, but it gets a little tough halfway. If I suggest: this book be part of a book group. This is just the type of book to read with other parents, because I know there’s something about parenting that we all need reminders about. We need to learn what parenting is, learn how we parent, and then: constant reminders, because there’s so many pressures on parents to lose sight of what’s happening in our children and to forget about the significance. So if you can read it, I think it’s great, but I would recommend you go to your priest and say, “Can we have a parent group, every other week or even on a Friday once a month?” and you just read through a chapter, and go through it over time, because there’s a lot of information in the book. The second is: I’m working now on an audiobook. This is just the type of book that you put in on a podcast, in your car or on your phone, and you listen to in bits and pieces through the day while you’re doing dishes, while you’re driving your kids around, that type of thing. It’s a big book. It was really hard for me to keep the chapters short and to keep the book small. But you know there’s so many dimensions to parenting that I said I have to kind of tell the whole story as best I can. So those are the ways I would recommend. Mr. Maddex: Well, I said I would get back to intentionality, and so here is my personal question. How do we as parents move from parenting by the seat of our pants to parenting with a plan? Dr. Mamalakis: The best thing to do is, if you actually take ten minutes or 15 minutes, and read one chapter—let’s say chapter one—what I have found is, when you take just ten minutes to reflect on your parenting, two things happen. Number one, every time I do it I realize I am really messing up as a dad! I don’t pay attention to my kids like I should! I ignored my kids just today, you know. So it’s really kind of painful, and I laugh because we want to teach the joy of repentance because as Orthodox we teach that it’s okay to see your sin. It’s a great thing, because only then can you repent. And what our kids need—our kids don’t need us to be perfect—they need us to be paying attention. So when you take ten minutes to read a chapter, it helps us pay attention. The hard part is a plan, because, I don’t know about you, Bobby, it’s hard to have a plan, because things are moving fast, and just when you figure out your kid they grow another year and now we’ve got some other things going on. What I encourage parents to do is to try their best to be intentional. Number one, reflect on your parenting. Read this book. Talk to other parents, on a regular basis, because the Church is constantly reminding us. We have Great Lent every single year. There’s a cycle; we are constantly being reminded, because God knows this is our nature, and we need these constant reminders. The second thing is: God is so kind that he allows the parenting struggles to keep happening and keep happening until we figure out how to address it. So when my child keeps misbehaving in the same way and the same way and I’ve tried everything, instead of getting mad or feeling despair, we might want to have a little gratitude and say: Ah, I can probably develop a plan for that particular problem. We can do that by reading the book, consulting a professional, talking with other parents, talking to your clergyman, starting a parenting group—because those environments, those relationships we have with others, can help us think through: Gee, what might my child be going through, what am I trying to teach them, what’s the appropriate response? Most of us spend more time learning how to work the newest iPhone than we do learning how to actually parent, and parenting is a lot more important and a lot more complicated. So the pathway, going from reactive to intentional, or having a plan, is really taking a little time out. Make a commitment, with your spouse, or if you don’t have a spouse, on your own, one night a week: I’m going to take a half-hour and I’m going to start reading a little bit about parenting. If you do that, it just opens up a whole world, filled with two things: number one, a little bit of pain in that I make mistakes, and number two, an invitation to be intentional, to start feeling a sense of compentency that, ah, this is what my child is going through, this is the response I’m going to give, and this is what I can expect from my kid. Does that make sense? Mr. Maddex: It really does, and that brings us to really the conclusion of the book. At the very end, you talk about or you emphasize really the need for prayer as a parent. Why is prayer so important to good parenting? Dr. Mamalakis: Prayer is critical to good parenting for a lot of different reasons. I want to say that in a sense I kept prayer until the very end because I said: Listen, there are a lot of books about the importance of prayer. One of the dangers of reading a parenting book is you can become really obsessed about “I want to respond in the right way,” and that whole idea of “I want to try to respond in the right way” is really, again, about me. That’s my reaction. My desire to be a perfect parent, that’s about me. That’s also selfish. What we have to remember in parenting is that we are co-parents with God, that these are God’s children as much as they’re our children. They’re going to grow up, and they’re going to leave the home. They will have their own lives. They will have their own relationships with God. That these are God’s children. Prayer does several things. Number one, in the moment, prayer fills us with peace. One of the tips in the book is: Before you react, take a deep breath and say the Jesus prayer. It stops us from reacting. Number two, it recalls to mind that these are God’s children and I am a type of steward. Number three, it calls to mind what parenting really is about. This is a devotion to God. It really has nothing to do with the marker on the wall, but the way I respond to the marker on the wall. I want this child to grow up to be a saint, and I want to respond in a way that’s pointing that child in that direction. This is parenting toward the kingdom, so prayer calls to mind that eternal dimension of everyday life. Prayer invites the Holy Spirit. Prayer opens our hearts so that the Holy Spirit may be present in this process. The beauty of Orthodoxy is that we don’t say that God is raising our kids or that we are raising our kids. What we say is that God is raising our kids through us. Parenting, in some ways, can be compared to growing a plant. We think about a tomato plant. Well, the farmer can do a lot for a healthy plant, but what a farmer can’t really do is grow a plant. Really, the plant grows naturally. What the farmer does is the farmer prepares the environment to the best of his ability so that the plant will naturally grow, and that’s what parenting is. Parenting is what God does to our children when our role is to create the environment in which that child can thrive. So prayer keeps us focused on what’s best for our children and not so much about what our selfish reactions are. Prayer—there’s so much written in Orthodoxy on prayer, I said: All right, this is not a book on prayer; this is a book on the rest of parenting, but prayer is central to parenting. The final thing is: when children grow up in a home where the parents are prayerful, that spirit of prayer fills the house, and that spirit of prayer, the Holy Spirit, needs to be received, and we want to nurture homes that have that spirit of peace and of prayer. And how do we respond out of that peace when our child is done with her cup of milk and she throws it across the kitchen? Well, prayer allows us to respond in peace. What the book talks about is: how do you respond? Because parents, especially Christian parents, who are really trying to be patient, might think that, well, the most patient thing to do is to patiently go and pick up the cup and put it back on the child’s high chair and say, “We don’t throw cups.” And then the child starts to enjoy this game and throws the cup again! And the patient, prayerful Christian parent will go and pick up the cup again and continue to do this. Meanwhile, the child, perceiving this to be enjoyable, is playing a game. So what the book is about is about how we need to respond in a way that teaches the child not to throw the cup and at the conclusion of the book we talk about prayer: how these skills and strategies need to be coming out of that prayerful spirit. Mr. Maddex: Dr. Mamalakis, as always it has been a joy to talk with you today. Is there anything else you would like to add before I let you go? Dr. Mamalakis: I think that the notion of even reading a parenting book, for some people, that might be a challenge; that might be a little bit of a hurdle. I would say this book is intended to help each person, each parent, who’s been invited by God to be stewards of these children, really to take some time out as an act of love for your children and just do a little thinking-through about what that means and how it works. This is not a book that’s going to teach you how to be a perfect parent; this is going to be a book that’s going to explain to you: this is actually what’s happening when you respond to your child in this way, and this is what’s happening when you react to your child in this way. It’s really your choice, but you want to be aware of that, and I think it’s a gift we give our children: to learn about this process of parenting so that we can honestly choose. But no book is going to make parenting easy, no book is going to get us to have kids who behave, and if we choose to be intentional, we also realize that I can be intentional, but my child is still going to struggle and is still going to learn. So the book is a little bit about getting clarification about what my role is and what my expectations are. Once we become freed of our own need to have well-behaved kids, once we learn what to do when our home feels like it’s out of control because everyone’s melting down and everyone’s fighting, once we understand how to respond in that, we become free: free to love God and free to love our kids, free to be strict, free to be empathic, free to get back up again, free to repent, free to teach, and free to love. So really the book is an invitation to be freed up from our worries and an invitation to give your kids the gift of thinking through and being intentional about what you do. Mr. Maddex: Dr. Mamalakis, thanks so much for joining me today. Dr. Mamalakis: Bobby, thanks so much for having me. Mr. Maddex: Once again, I have been speaking with Dr. Philip Mamalakis, the author of the new AFP book, Parenting Toward the Kingdom: Orthodox Christian Principles of Child-rearing. To purchase this and other great Orthodox books, please visit store.ancientfaith.com. Thanks for listening.